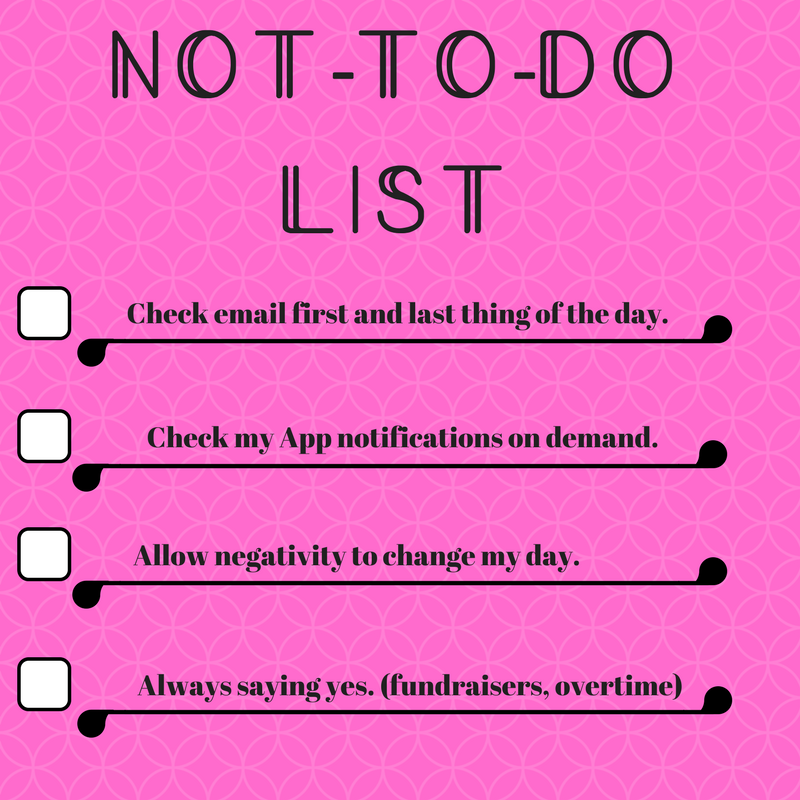 Checking app notifications and responding to emails can be time consuming, among other habits we pick up. Do you ever feel like you need more hours in the day? This is the perfect opportunity to pick up your handy journal and make a list of things Not-To-Do. You heard me right; this will be a list of habits and things you should keep from doing. The only way to get back wasted time during the day is to kick time consuming habits to the curb, or keep them at a minimum anyways. Now what to add to your list, to get back more time? That is easy; here are 4 top time killers that you may want to add to your Not-To-Do list. 1. Be a slave to App Notifications. – checking your new comments, messages and subscribed YouTube videos is a major habit taking up your valuable time. Did you know that the average person checks their social media a minimum of 85 times per day? Crazy right!? Turn off your App Notifications and check your social during set times of the day, and no other times. You do not need to know what is happening on Facebook at every moment of the day. 2. Check emails first thing in the morning and right before bed. – Checking and responding to emails before you get your day started and before bed is a No-No, especially if they are work related. This can increase anxiety and decrease productivity. Save your emails for “working hours” and try to avoid being at your inbox’s mercy. 3. Always saying “Yes”. – Don’t get me wrong, helping others is a great thing to do. Though there is a line you need to draw when you really are stretched too thin when it comes to saying yes. Think of that time you had a million things going on and your best friend asked you to help her with something, you really had no extra time to even sleep – but you said yes, and you ended up falling behind on your other commitments. When you take on too many things, something always gets neglected. Lesson to learn is that is okay to say No, when you really can’t or don’t want to say Yes. 4. Sit & Dwell on Mistakes. – Letting go of the past and forgetting mistakes you made can really be hard. Dwelling on what happened and how you could have changed the outcome can be even harder, and even more time consuming. Instead of dwelling, breathe, and let that stuff go! There are plenty of other items you can add to your Not-To-Do List to free up time and make room for opportunity. Check out our notebooks and journals that are perfect for your Not-To-Do List here. We would love to hear what you are going to put on your personal Not-To-Do List. Tag us on social and share your list.